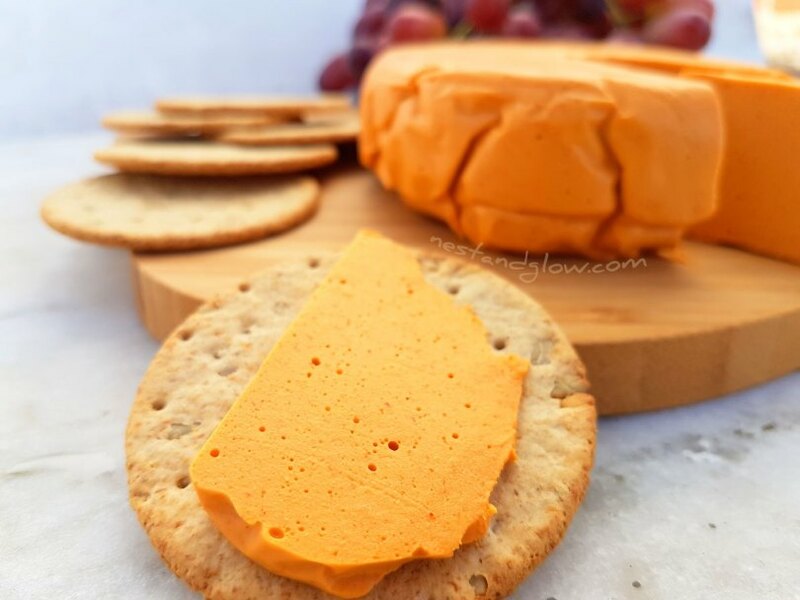 This smoked cashew vegan cheese is sweet, creamy and very moreish. Full of heart-healthy fats, vitamins and protein. The cheesy dairy free taste comes from nutritional yeast and the smokiness is provided by smoked paprika. It’s quick and easy to make as it isn’t fermented. The consistency is a bit different to normal cheese – it’s best described as being similar to processed cheeses with a jelly like texture. This is one of the best tasting recipes on the site and perfect for health conscious people/vegans and everyone else. It has just the right combination of creamy cashews, smokey paprika, sour lemon, spicy cayenne pepper and saltiness to be irresistible. If cheese stops you from going vegan try this recipe today! It slices and when baked at a low temperature it melts and goes golden. 0 Response to "VEGAN SMOKED CASHEW CHEESE"